Three unique educational documentaries about rural community development projects in Mayo, made by a visiting Dutch academic on GMIT's Applied Social Studies degree programme, will be screened in Castlebar's Movieworld cinerma on Tuesday 3 June (5pm). The three 25-minute documentaries, which are shot in Islandeady, Bohola and Westport, were made by academic and filmmaker Dr Willem Blok from Leeuwarden, the Netherlands, when he was guest lecturing on the Applied Social Studies programme in the Mayo campus during the Autumn semester (2013). 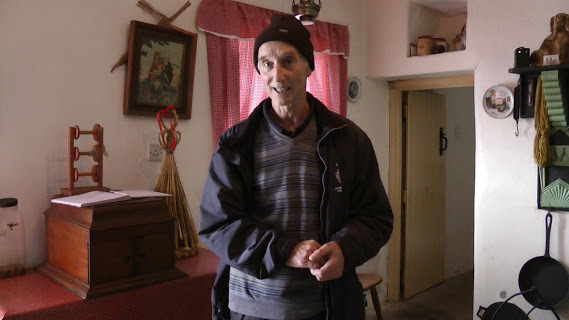 Joe Moylette of Jack's Old Cottage, Islandeady, in a scene from one of the educational documentaries shot by Willem Blok, NHL University of Applied Sciences , Leeuwarden, The Netherlands, in association with GMIT Mayo's Applied Social Studies Programme. His three films explore examples of rural community development, the first focusing on Jack's Old Cottage (Islandeady), a small scale community development which preserves a disappearing way of Irish rural life, the second on the Arts Centre in Lismiranne (Bohola) and the power of music in the community, and the third on the theme of music in social care focusing on Western Care (Westport). Basombrio Hoban who work in community and social care settings. John Hoban in O'Dwyers, Bohola, in a scene from one of the educational documentaries shot by Willem Blok, NHL University of Applied Sciences in Leeuwarden, The Netherlands, in association with GMIT Mayo's Applied Social Studies Programme. Dr Mark Garavan, lecturer in Applied Social Studies, GMIT Mayo, says "The documentaries provide an innovative record of ways of working with communities and individuals, using cultural and artistic tools. They show the novel ways in which contemporary social care is being done and how we can learn from international colleagues such as Willem Blok". "I am particularly pleased to see the compassionate and dedicated work of John and Isabela Hoban being highlighted in this way. 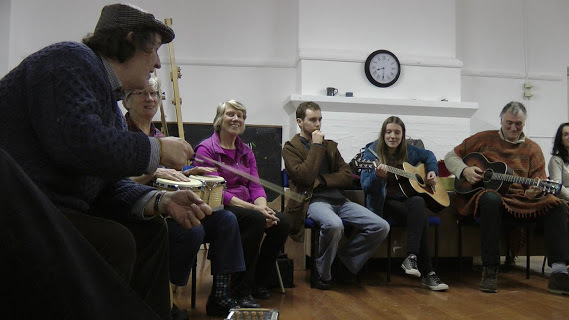 Their use of music and art is particularly inspiring and effective in their work with people." Dr Willem Blok is a senior lecturer in Social Work at NHL University of Applied Sciences in Leeuwarden. He came to GMIT Mayo as part of an exchange agreement between the two third-level colleges, which jointly deliver a module in International Social Work in the fourth year of their respective Applies Social Studies degree programmes. Dr Blok says: "I am very glad to have this opportunity to do something in return for the Irish people, for the hospitality, friendship and culture they shared with me since my first visit as a student in 1972." The screening of the three films takes place in Movieworld, Castlebar, Co Mayo, on Tuesday, 3 June, from 5 to 7.30pm. Admission is free. The films will be of particular interest to local community development workers, social carers, musicians and anyone in the wider Western Care circle. GMIT is delighted to shows these films first to the general public. All are welcome.